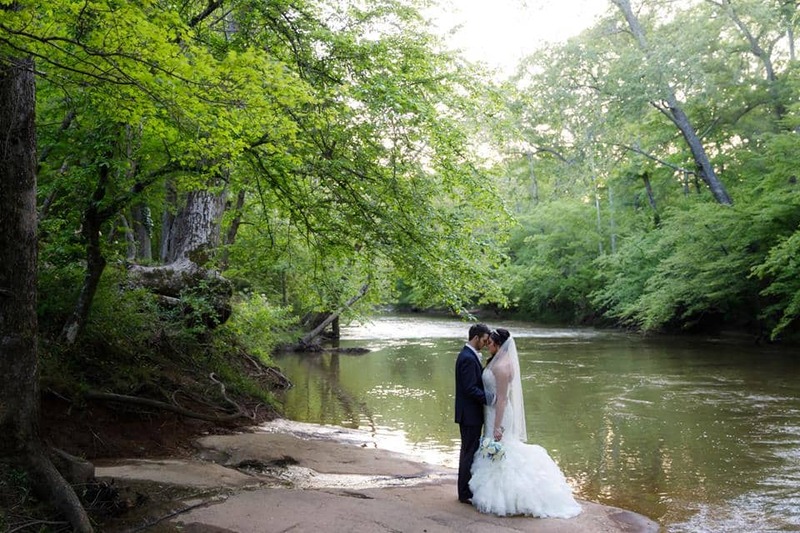 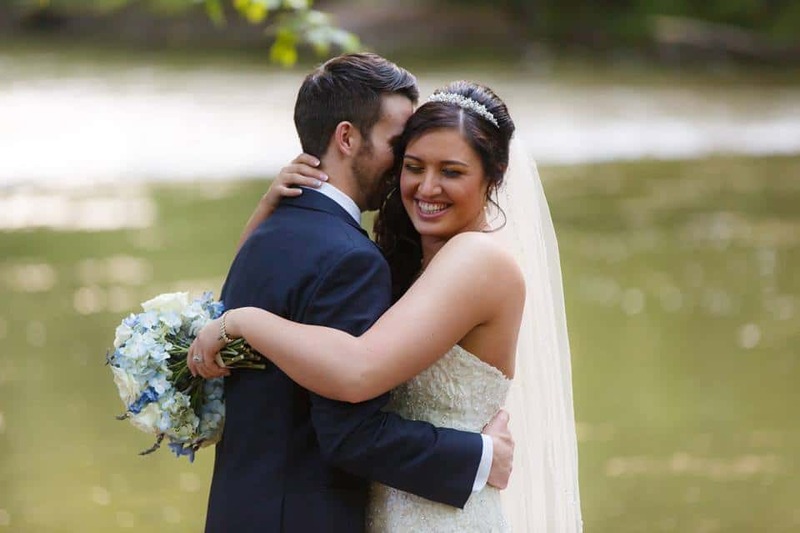 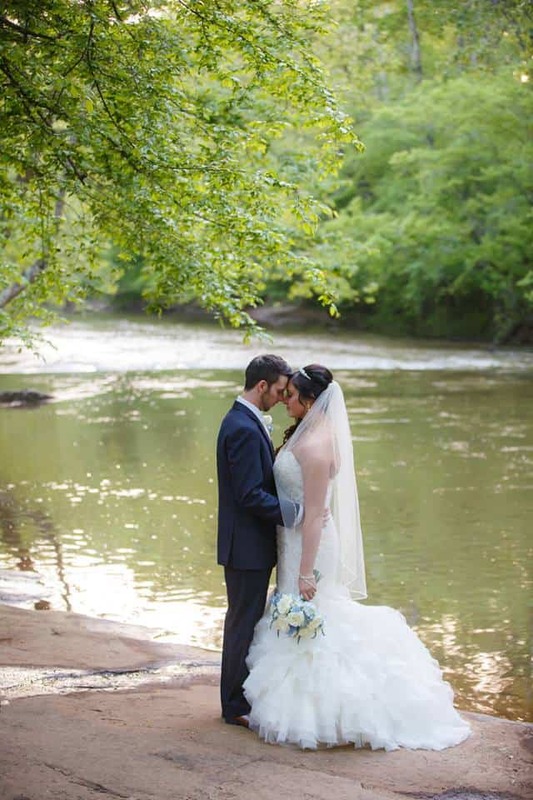 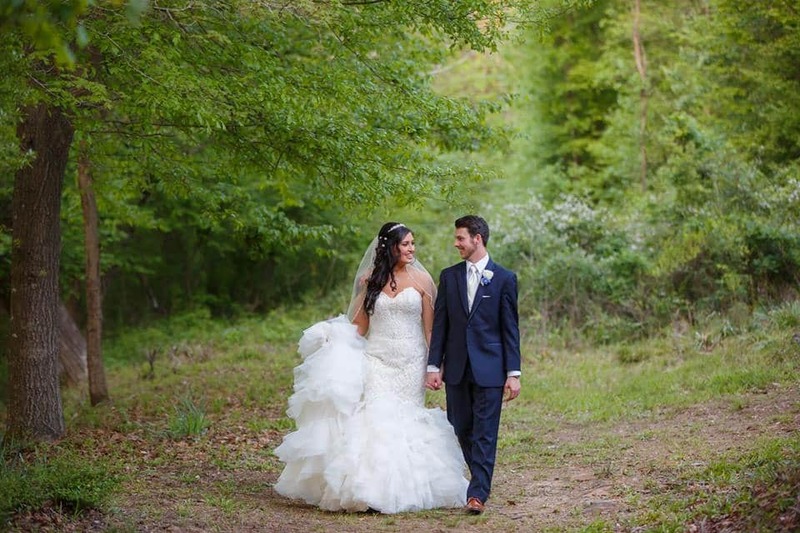 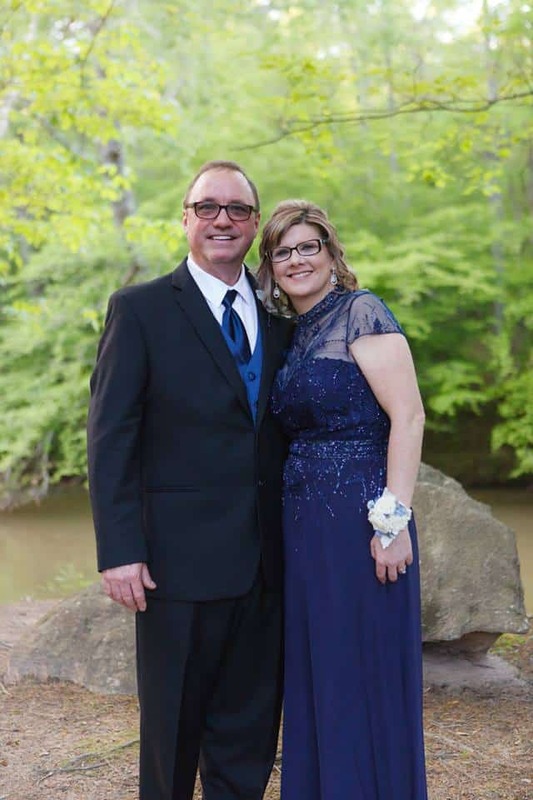 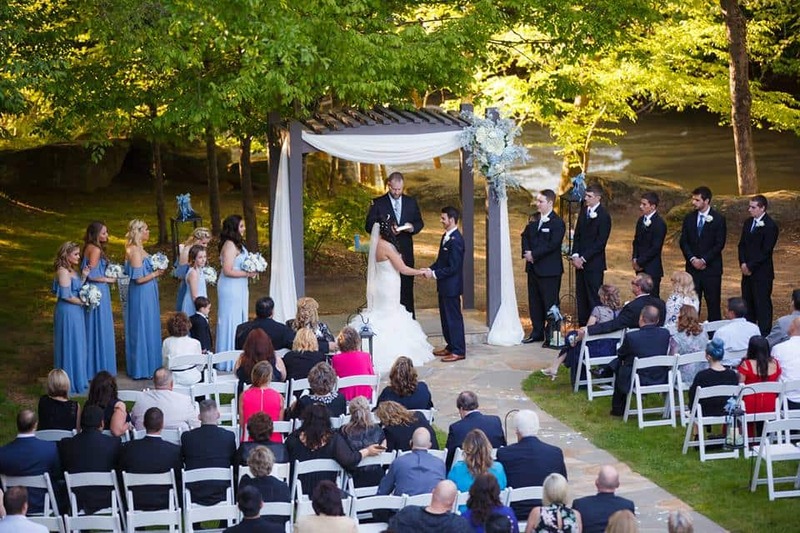 Kayla and Kyle were wed on a gorgeous April evening down by the Yellow River. 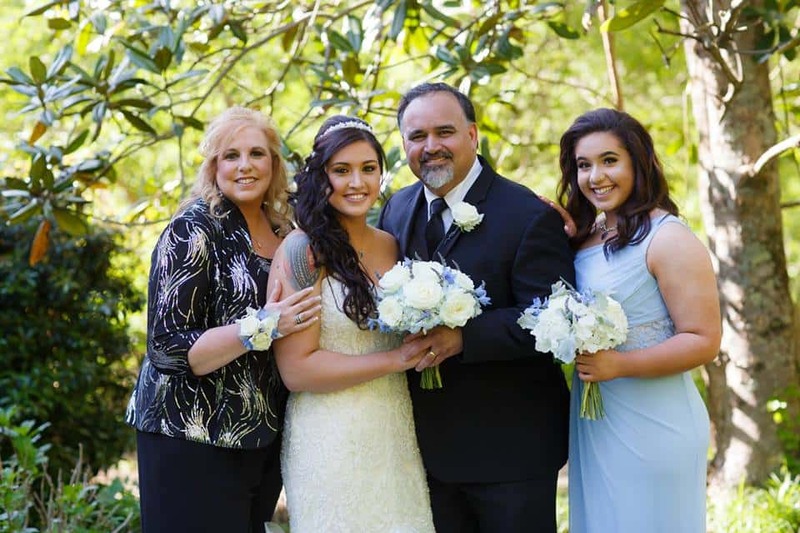 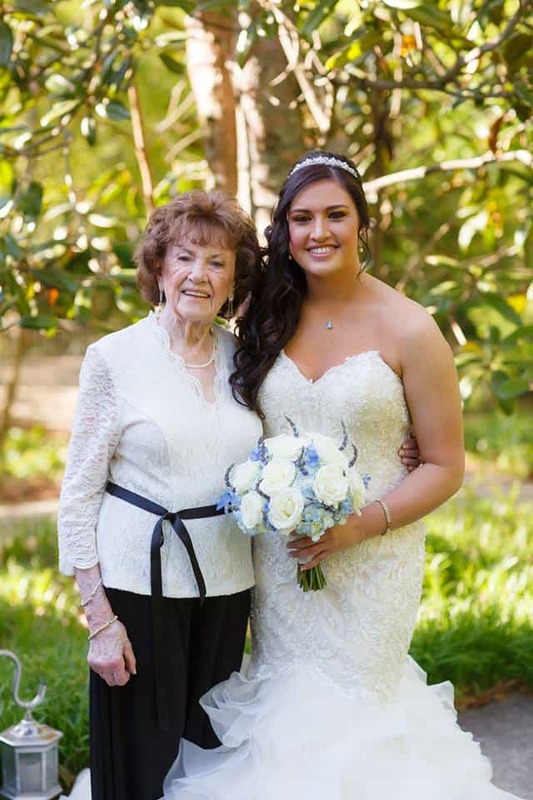 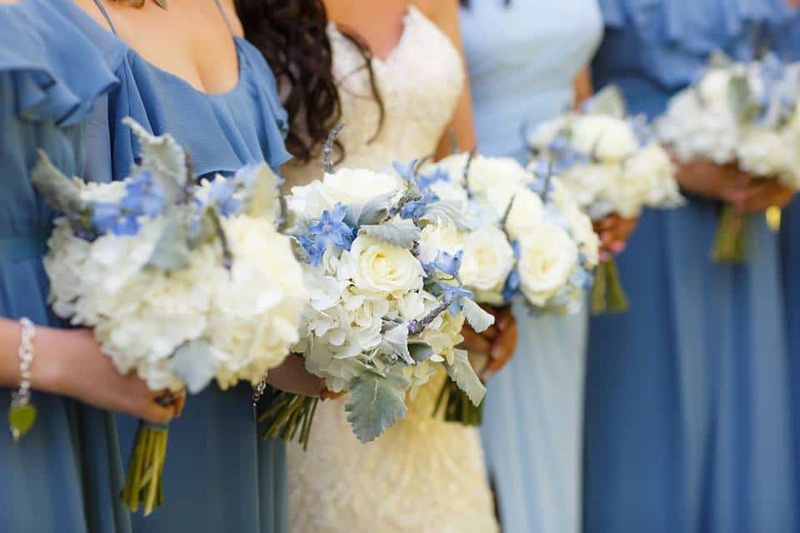 The ceremony was beautifully decorated with chiffon draping and a lovely floral spray of white roses and light blue hydrangeas. 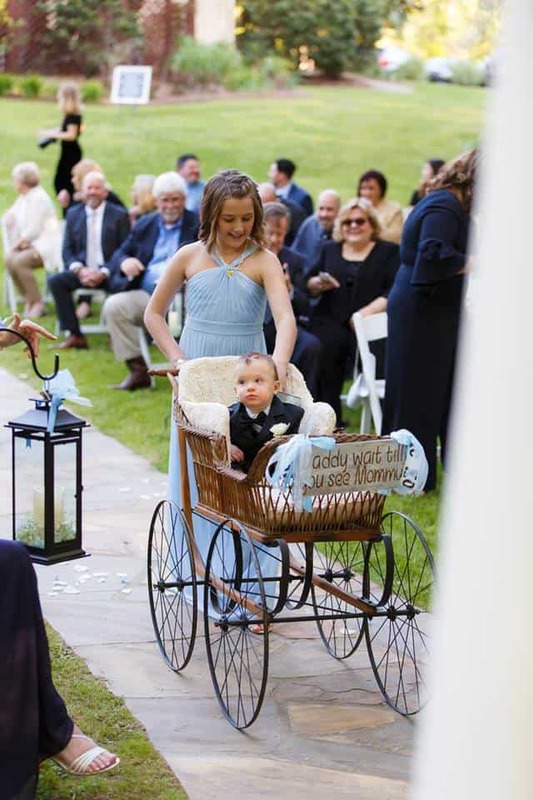 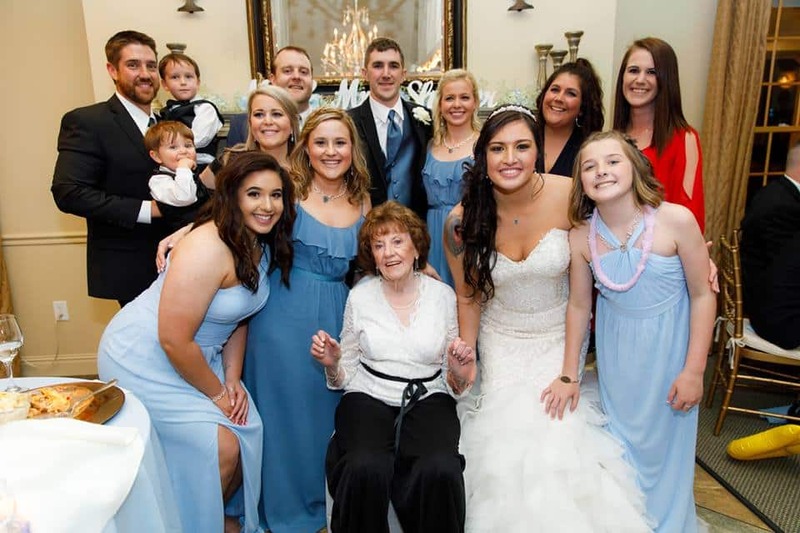 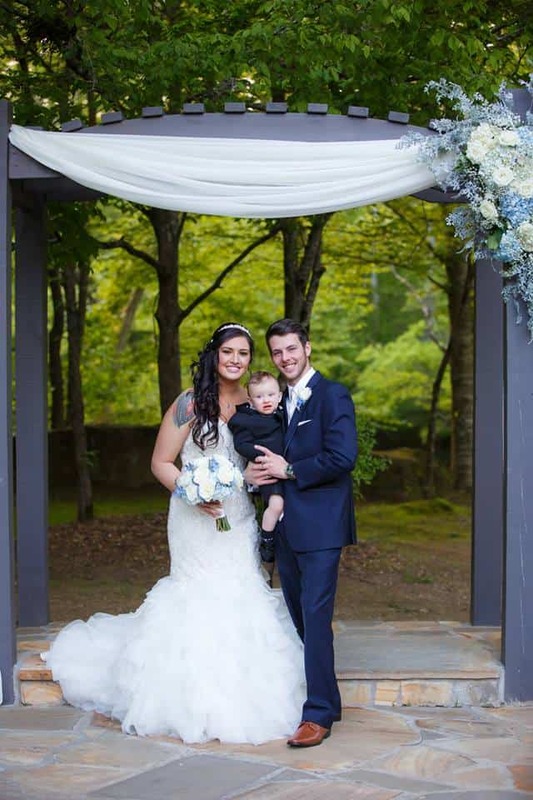 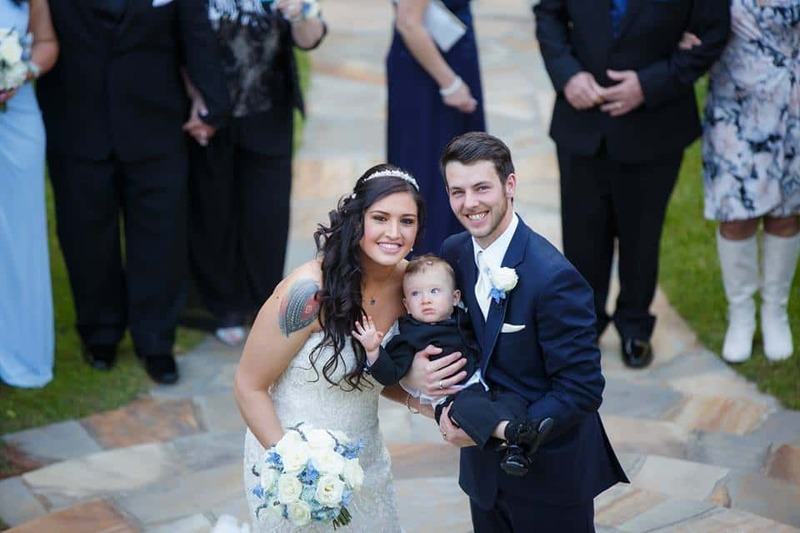 The most precious part of this ceremony was their son coming down the aisle in a stunning antique wicker baby carriage! 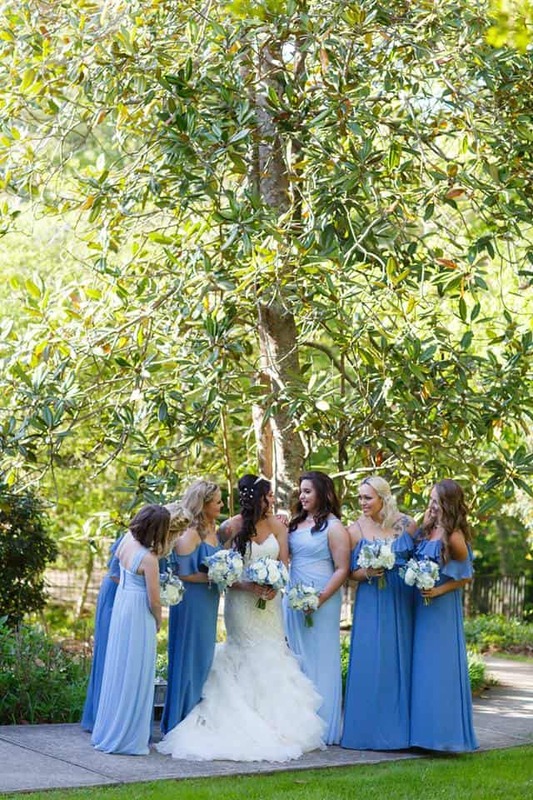 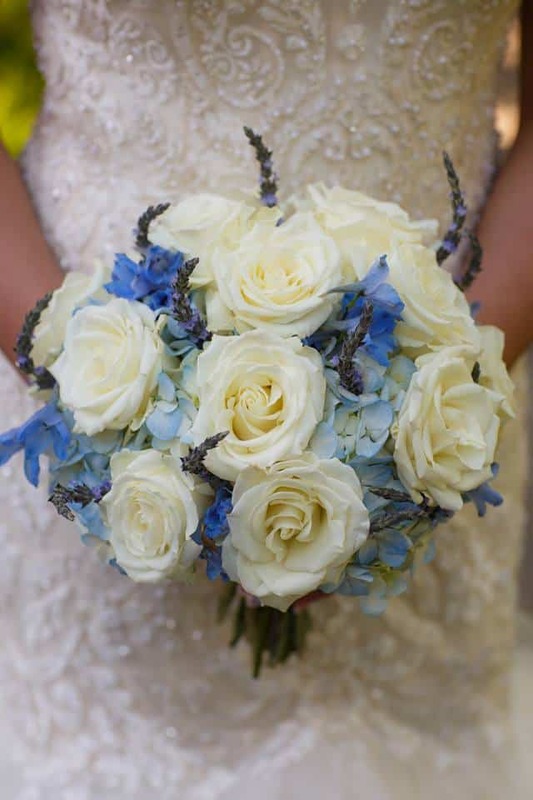 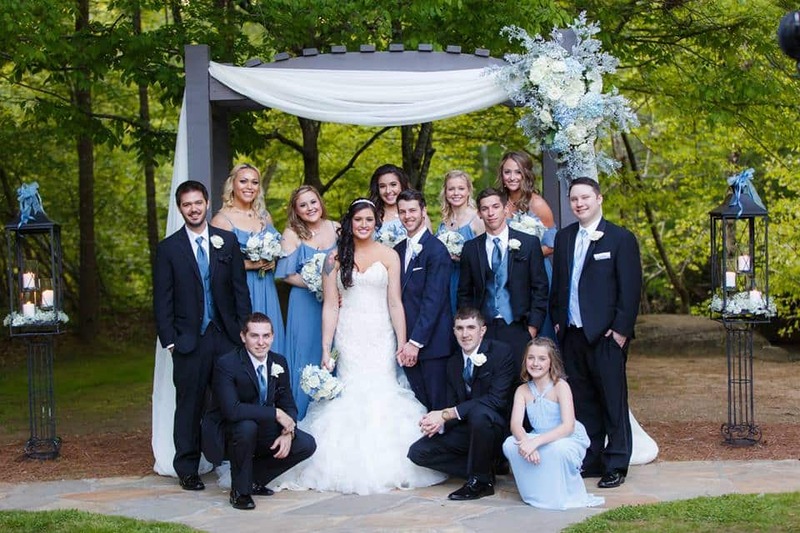 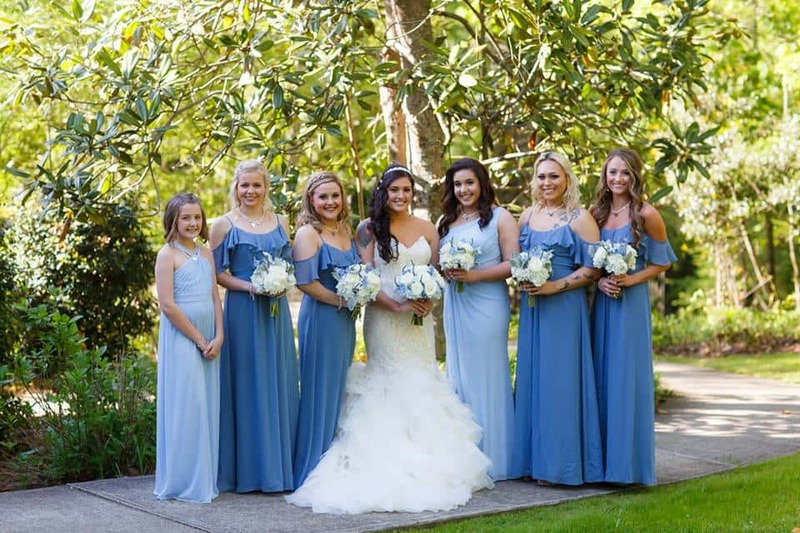 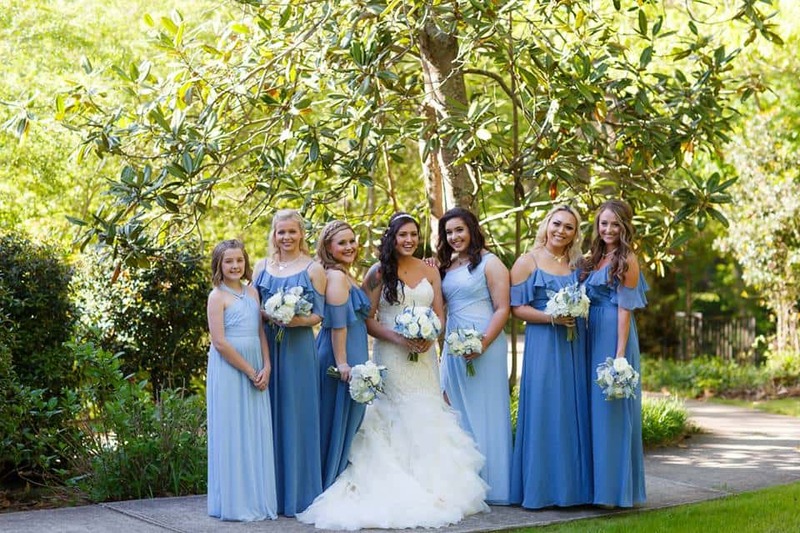 We loved these bridesmaids gowns that were a pretty shade of cornflower blue – it matched perfectly with the blue hydrangeas in their bouquets. 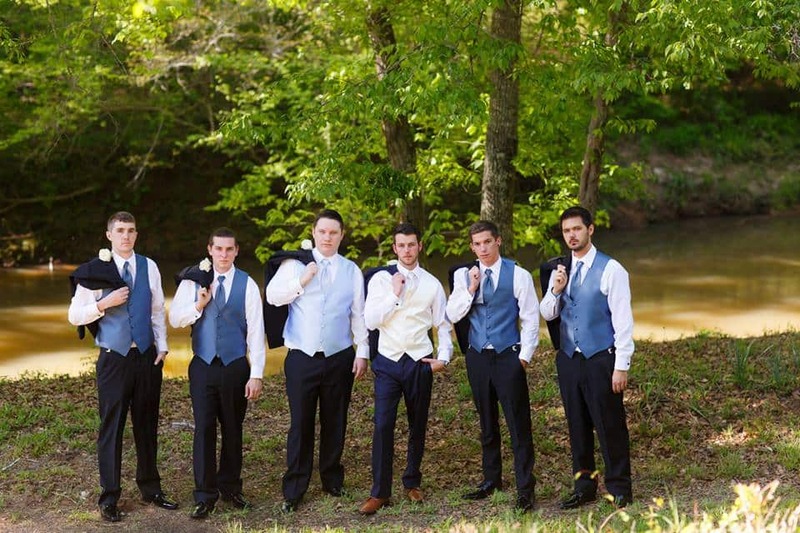 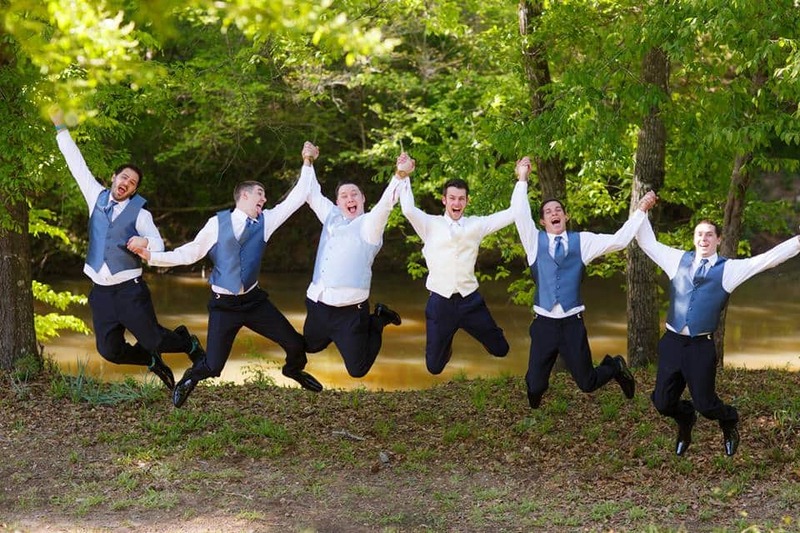 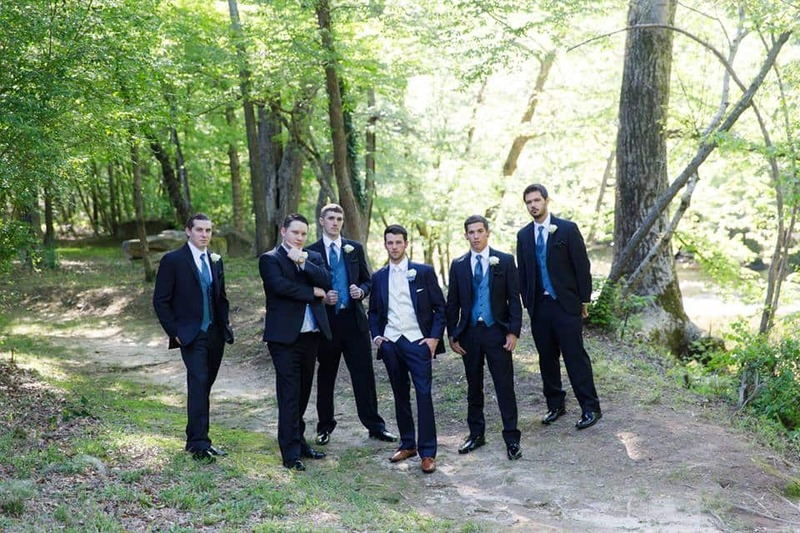 The groomsmen complemented the ladies by wearing black suits with blue vests. 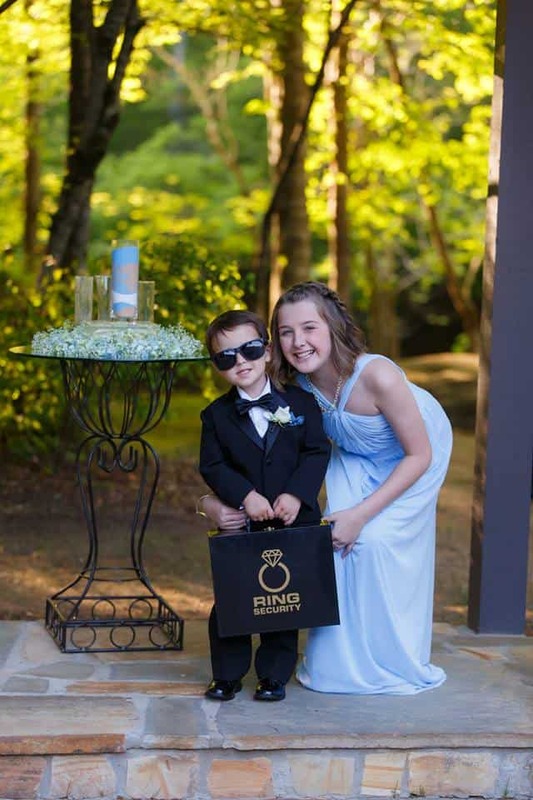 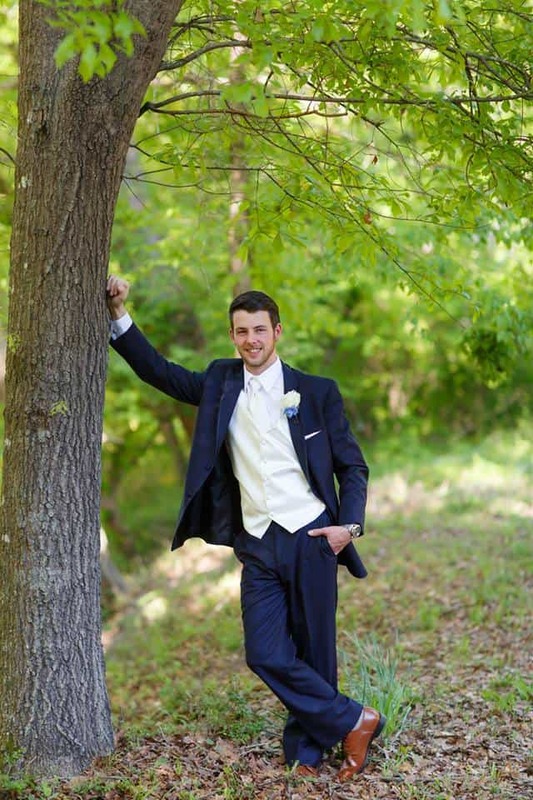 Kyle looked sharp in his navy blue suit with a white satin vest. 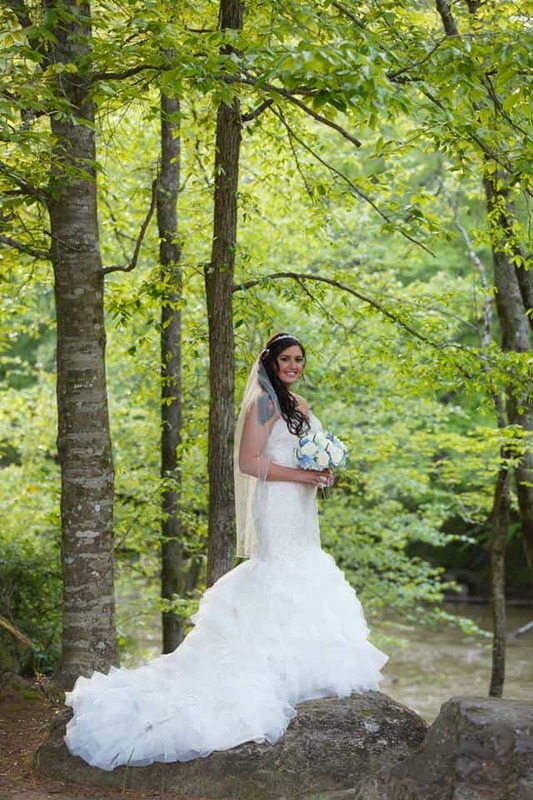 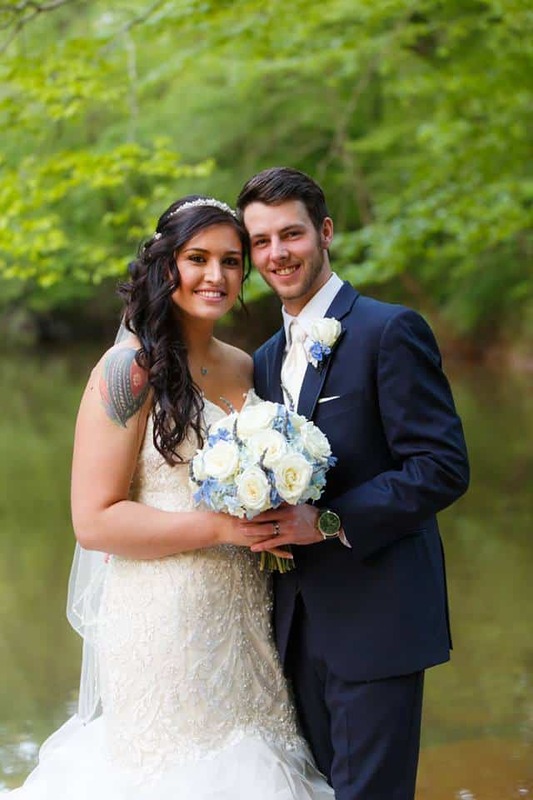 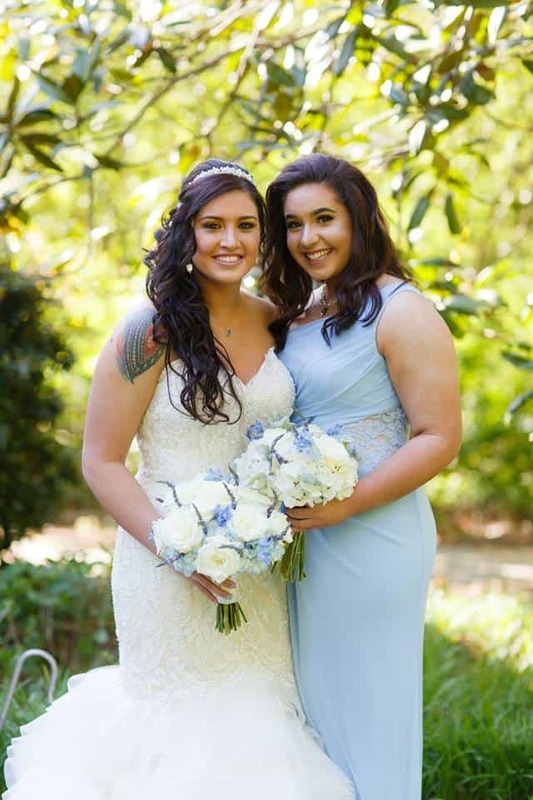 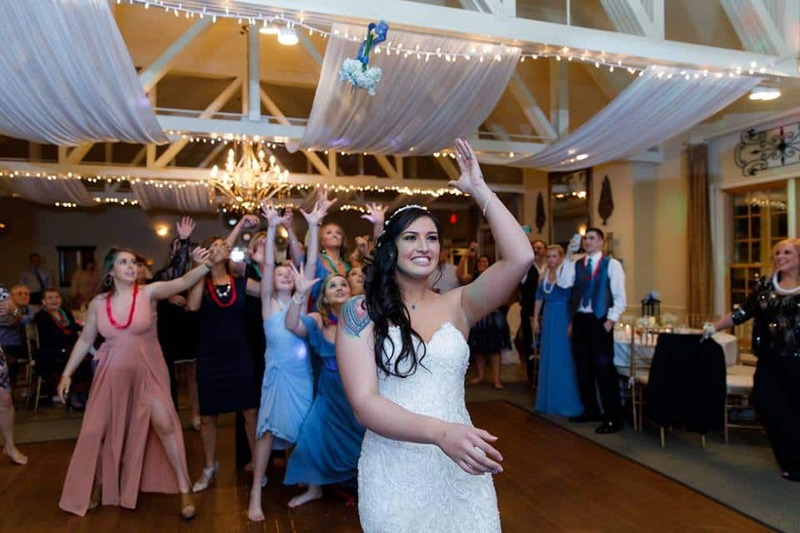 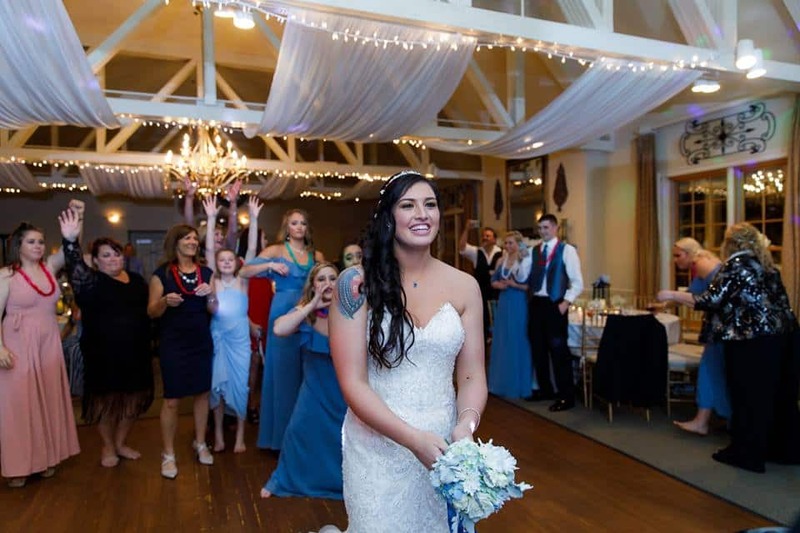 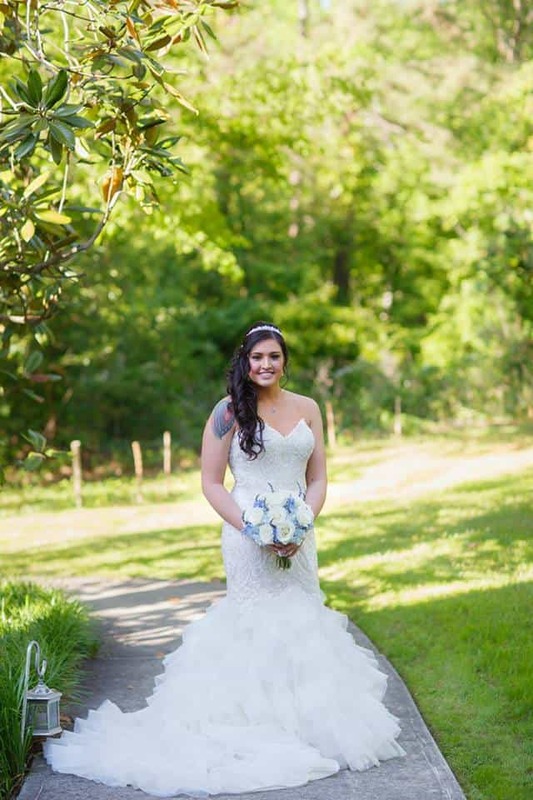 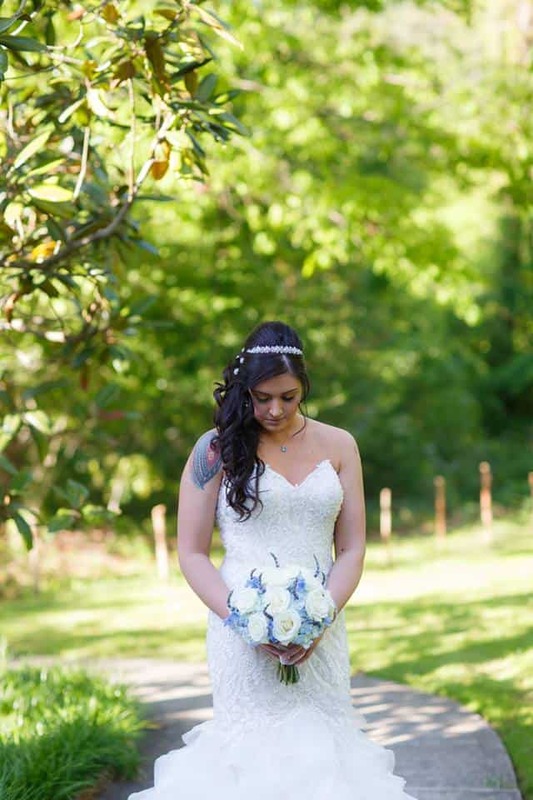 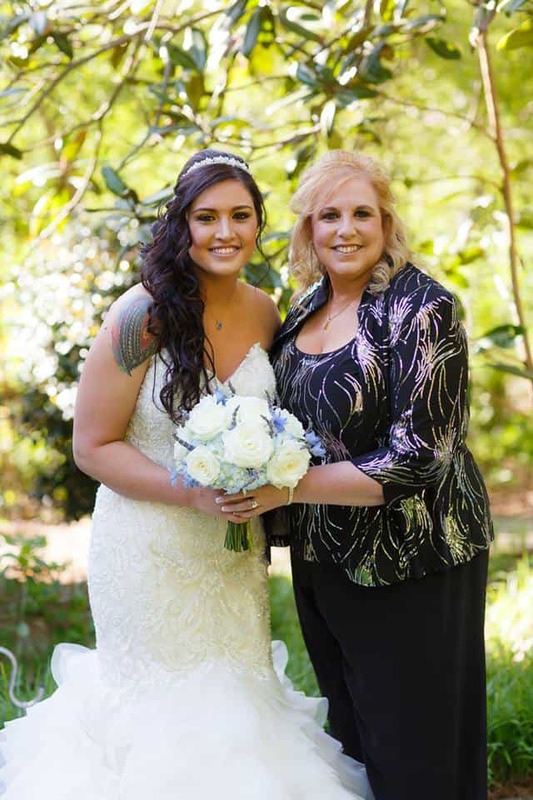 Kayla wore a beautiful mermaid style gown with gorgeous beading and lace details and a ruffled skirt. 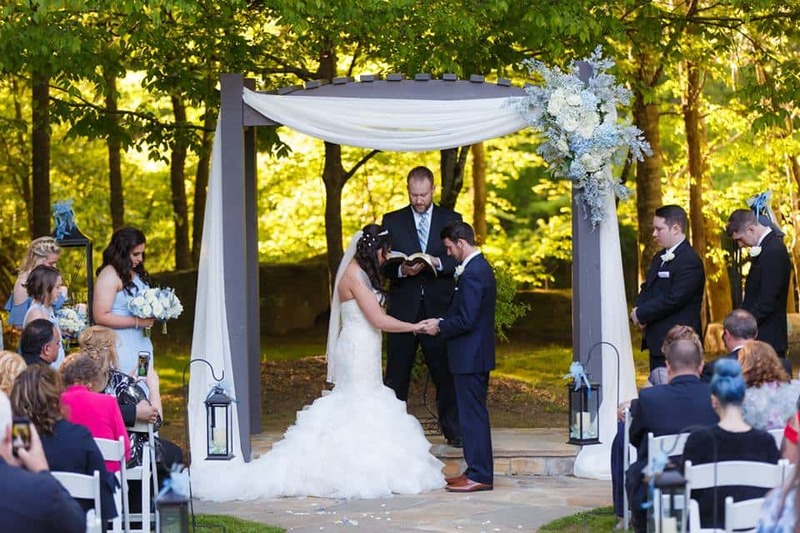 The reception had a romantic look with candles inside lanterns as the centerpiece for each table. 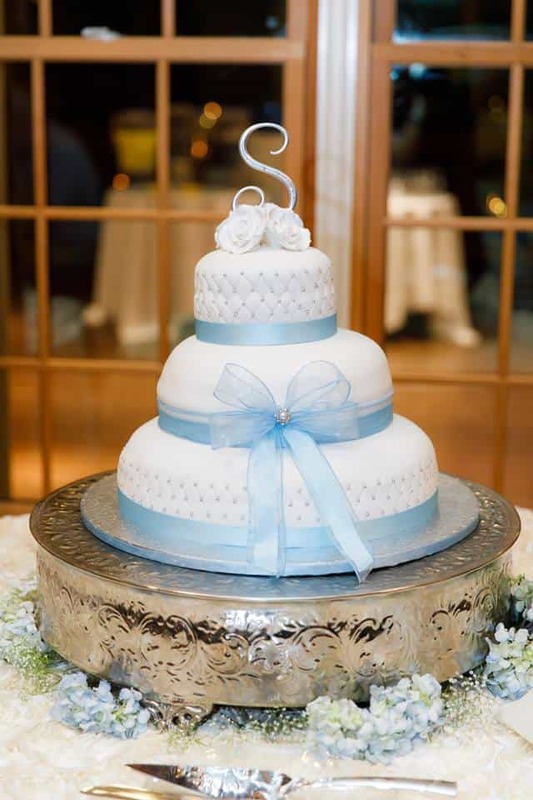 They had a beautiful three-tiered wedding cake with some stunning designs in the fondant. 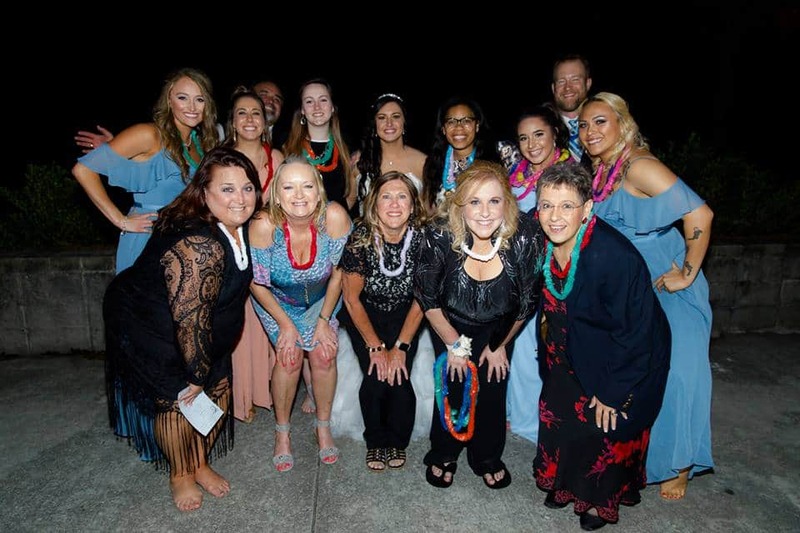 Everyone had a great time partying with fun colored leis too!